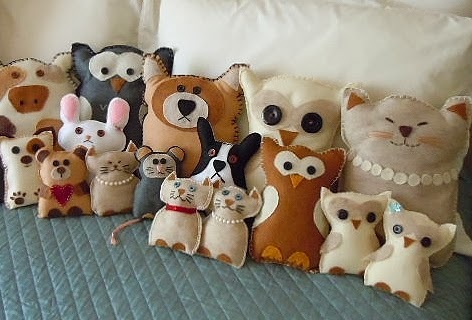 I simply cannot get enough of creating these plushy animal pillows! So many ideas, so little time. Here are just some of the different animals I've created. Drop by my Etsy Shop (http://simonandcool.etsy.com/) to see my latest creations. SimonAndCool.com will be participating in this year's San Diego Ballet Guild Nutcracker Market where you can purchase all of your favorites. Come see us! © 2008 - 2013 SimonAndCool.com. Picture Window theme. Powered by Blogger.